Overland Park Painters, Residential and Commercial Painting | Paint Pro, Inc. 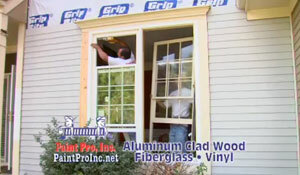 Since 1994, Paint Pro, Inc. has been serving the home repair needs of the Kansas City Area. We are a local family owned and operated company and intend to stay that way. Our production process has been developed over the years to ensure good communication and top quality on a consistent basis. While many of our competitors run their businesses from their home using cell phones and subcontractors, we’ve chosen a permanent location in South Overland Park to better serve your needs. There will be someone available between 8:30 and 4:30 Monday through Friday to answer your calls. All of our painting, siding and window work is performed by our in-house employees. We work hard to keep them busy all year around! varied climate here in the Midwest, many homes experience wood rot. Maybe it’s the trim boards, hardboard siding or wood windows, but there is no shortage of work. The challenge is fixing it RIGHT! That’s where we come in. Siding and windows were a natural progression for us. There are some cases where windows cannot be repaired with reliable results or the siding is just too far gone. 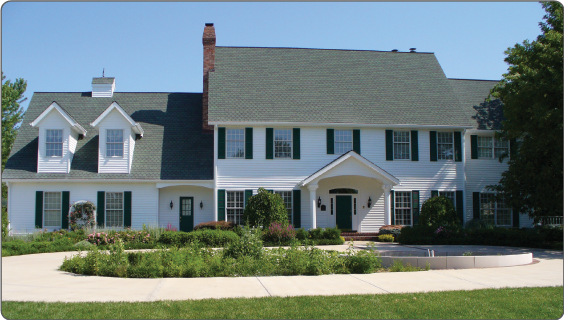 We have many different siding and window manufacturers to choose from. This allows us to choose the RIGHT solution for your problem. We also perform many aspects of interior painting and repairs. Ceiling texturing, drywall repair, cabinet finishing, trim and door replacement are just the start. From small projects to complete interior makeovers, one call is all it takes. Copyright © 2011 Paint Pro, Inc.